It’s been a while since I’ve posted anything, but I thought I’d take a little time to share with you a review of a great fantasy book I read back in August. I’ve been meaning to review this book for a long time and I’m delighted I finally got the chance to! Here it is! 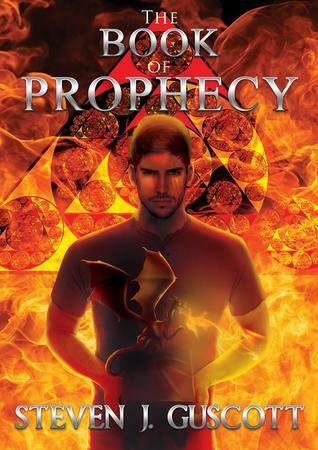 The Book of Prophecy was a thoroughly enjoyable read. The main protagonist, Dragatu is an interesting character and I appreciate that he is a youth, then man who had truly good intentions for his people, however, he is blind to the fact that the stringent lifestyle he follows is not something that everyone else can do. It’s this fault in particular that can make Dragatu at times a disagreeable character and one at times, I did not like, but at the same time, it made his character the far more believable. It’s this staunch belief that his “busy” way of life, his inability to accept the way of others choose to live and his obsession with keeping the Book of Prophecy, which ends up being his “Achilles heel”. There are other characters I would have loved to have explored a little more, his brothers, Unilus and Phoenon, who are in their own right blessed and given special powers to use to aide their people. Also Dragatu’s wife, Freta, who is a strong female character and influence on Dragatu’s life. Although the book spans some twenty six years, it has the feeling of the beginning of a family saga. It is well written and the world developed in a way that I could easily imagine the surroundings. I really look forward to seeing where Steven J Guscott’s future books go and whether the other characters will play a roll in them. Well worth 4 out of 5 stars!